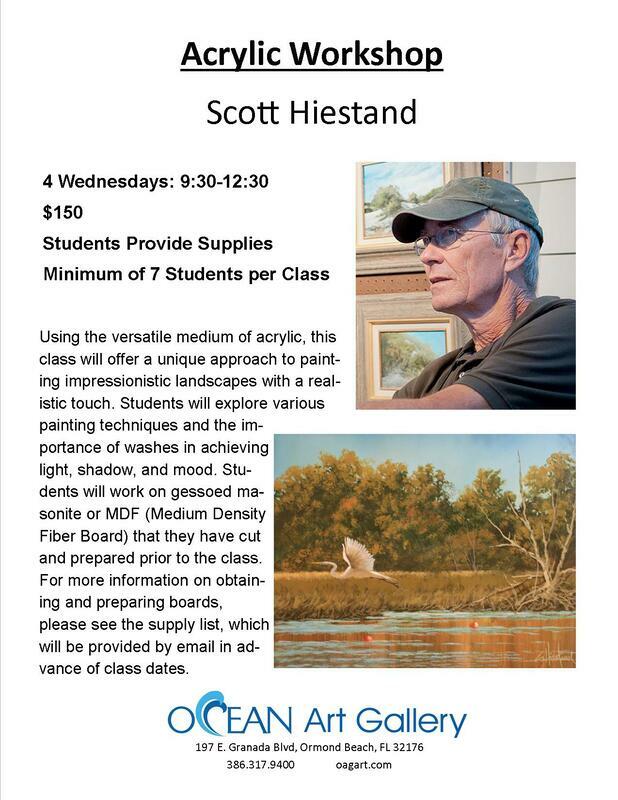 Here at Ocean Art Gallery, we offer a variety of classes in different mediums from our artists to show you their techniques and teach you how to create art of your own. These classes are rewarding and enjoyable and we know that you will love them. Call 386.317.9400 to register.